You step into your living room and immediately notice the outdated, dull décor. Want to update the room without doing a complete overhaul? If you're a fan of your larger pieces like the sofa and chairs, but need something that can bring life back into the space without having to spend big bucks or invest lots of time redoing the entire room, we can help. It’s easy to refresh your décor on a budget by pairing small, vibrant accent pieces with the furniture you already have. Little changes really can make a huge difference. When your room is lacking life, adding a pop of color can work wonders. 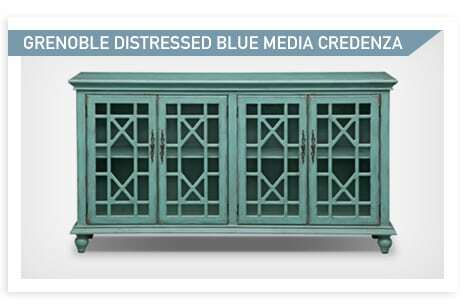 Find a larger accent piece, like a credenza, in a color you love. Then, find smaller pieces, like mirrors or throw pillows that are the same color as the accent you’ve chosen. They don’t all have to match exactly – try using different shades of the same color to add depth and layers to your newly refreshed room. Patterns draw the eye in and create movement within a space. The colors in a patterned piece should be neutral enough to match the surrounding furniture so the room doesn’t feel totally mismatched. 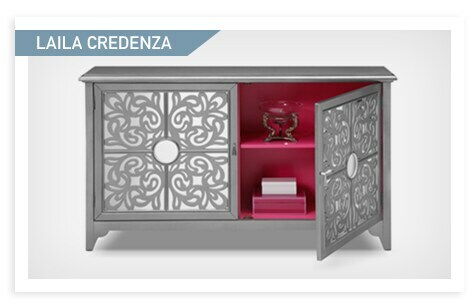 The outside of this Laila credenza is a soft, neutral silver, but it has a secret pop of color when you open the doors. Statement pieces get people talking. Whether they're modern, nautical, boho, or glamorous, statement pieces can inject energy into a lackluster space in one fell swoop. These pieces don’t necessarily need to be a bright color or have an out-there pattern – it just needs to be unique. 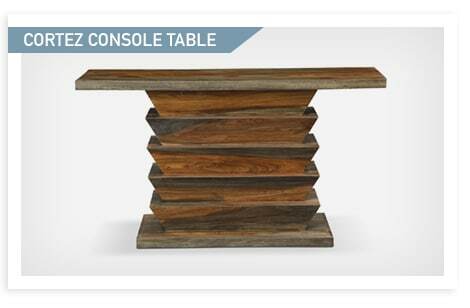 The geometric design and stunning wood finish of this Cortez console table will give your space a funky, updated feel. When you’re looking for a stylish new accent piece to liven up your room, why not find something that’s easy to move around? Accent pieces can be used in different rooms at different times, so finding pieces that can easily travel around your home is a huge bonus. 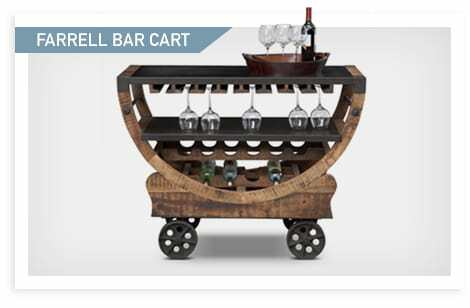 This Farrell bar cart is not only beautiful, it can be relocated at the drop of a hat. When you’re looking to update your décor without having to redo the entire room, think accent pieces. These small, inexpensive changes can quickly update your space. Keep in mind colors, patterns, statement pieces, and function when considering accents for your space. All it takes is adding some small, perfect pieces to make your room look totally revitalized.